Have I ever mentioned that by education I am actually a Historian, I can't say that I am one by trade any longer as I am now a Stay at home, homeschooling mom, who blogs on the side, haha. So, as you can imagine my History loving heart fell head over heals when I saw this book come across my e-mail. I am really quite honored to be able to help share the cover reveal with you, which I think is really beautiful. 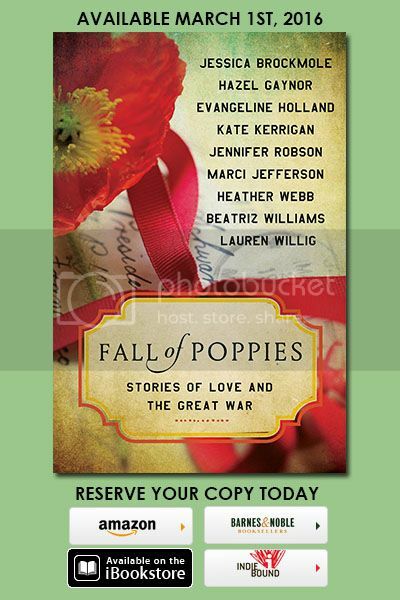 A Fall of Poppies is an Anthology of Historical Short Stories based around World War I. I am truly looking forward to getting this collection in my hands and hope that you will add it to your TBR lists as well! Make sure to scroll all the way down and enter the giveaway.